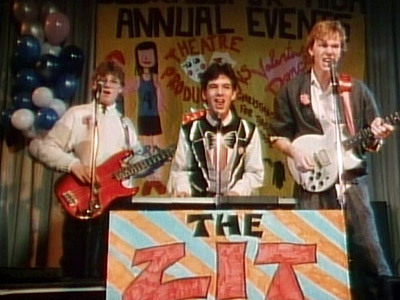 Yesterday I wrote about You Can't Do That On Television, a popular 1980s Canadian television production which ran on Nickelodeon. Two more shows I couldn't get enough of were Degrassi Junior High and Fifteen. Degrassi was a teen drama that tackled controversial topics like suicide, homosexuality, teen pregnancy, difficult divorces, stealing, racism and more. Similar to You Can't Do That on Television, the kid actors were basically inexperienced "regular kid" types--making them even more realistic and likable. Degrassi was critically acclaimed and ran on PBS between 1987-1989. We Degrassi fans couldn't get enough of Spike (the pregger punk), Shane (Spike's baby daddy), Snake, Arthur and Yick (the nerds), Caitlin, Joey (Zit Remedy lead singer who thought he was a slick ladies man), Wheels, boyish L.D., Lucy (busted for shoplifting), the curly-haired preppy twins Heather and Erica, Alexa (The pretty Greek girl -- I liked her because she was slightly chubby, yet had a HOT boyfriend, go Alexa!) and Simon (her hot blond model boyfriend), Mr. Raditch and so many more. Spin-offs and continuations such as Degrassi High and Degrassi, The Next Generation based upon the original series even featured some of the original cast members. The Next Generation even features a balding adult Snake (the original actor!) and Emma--Spike's baby all grown up. Pretty cool! Fifteen (also known as Hillside in Canada) was a horrible Canadian-produced teen drama that somehow sucked me in. When I say "horrible" I mean horrible to others, awesome to me! I am the first to admit, I am immature when it comes to my television viewing. Yes, I like MTV reality shows like The Hills and The City. It doesn't surprise me that regardless of the fact that I was 18 or 19 at the time, I still tuned in to Nickelodeon to see what was going on with Fifteen. I needed to keep up with Brooke, Ashley, Jake and Billy. I couldn't resist loving the cheesy synthesizer intro song and 90210-wannabe style situations. Sadly, the real reason I enjoyed this show was due to an inappropriate crush I had on a fifteen-year-old Ryan Reynolds. It scares me in retrospect to think Ryan was my little brother's age at the time of the show. It's funny how Ryan became so famous today and at age 34, it's not so weird to think he's hot, yet he nauseates me as an adult. I still love my Canadian television--many my favorite HGTV programs are produced in the Maple Leaf state. Ooh, I never knew Ryan Reynolds was a kid actor. I'd say 'yum', but that would be weird. Joey was the coolest. I so wanted to find that doofy hat he always sported* (*Canadian talk for wear). How do you get all this stuff? You truly are an ace reporter. Ryan Reynolds was a kid actor? Never knew that! I, apparently, missed out on all the good TV. Wish my parents would have turned off "Gunsmoke" once in awhile. I missed out on these ones! I have never seen nor heard of either of those shows, that I have seen on the tv guide the Degrassi next generation listed. I have heard of Degrassi, I think The Daughter watches it sometimes. Oh my god, we were Fifteen FREAKS in our household. So much so that my sister and I have sent emails to Nickelodeon asking them to release it on DVD. Didn't care for the later Degrassi shows. Did you ever see The Odyssey? 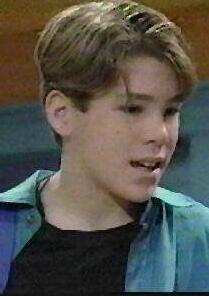 It was a short lived kid's sci-fi show that Ryan Reynolds was also on. Horribly cheesy, but I loved that show at the time. These two shows I have to admit I never saw although I've heard the name Degrassi before. I love HGTV and Candice from Divine Design is probably my most favorite designer of all time! Degrassi Junior High was all the rage when I was a kid. Joey's tuxedo tshirt was much in demand. HA HA! ALL THE WAY WITH STEPHANIE KAYE! I forgot about that one! Degrassi... I've seen parts of this show before, and the acting abilities of those kids never cease to amaze me. 1. Degrassi had the best theme song. Singability is high with that one. 2. Fifteen! I remember seeing actual tongue when Ashley was eating some dude's face (can't remember if it was Matt or Dylan) and thinking, "Whoa." I recently saw her on a Lifetime movie and she still has that same squinty Neve Campbell-y look and toddler voice. See what your blog is doing to me? I'm going on a catch-up posting spree. Nostalgia is my lifeblood.